When it comes to walking more than a few blocks, our sneakers take the top spot on the comfortable shoe chart. With the right amount of support, style, and practicality, they comfortably take us to and from our destinations. What’s not to love? However, sometimes your outfit calls for a more elevated choice. Because as much as sneaker culture has grown, it’s always nice to also have another pair of shoes that can be both comfortable and stylish—especially during the colder months. Enter: boots. Now, don’t envision 5-inch heels. We’re talking about boots that lay low just like your favorite kicks and if they do happen to have a heel, it’s bulky enough to give you the support you need to walk the walk with no breaks. From classic Chelsea boots, over-the-knee hybrids, and trusty black ankle boots, there’s a pick out there that will give your sneakers a run for their money—and it just so happens we rounded up 15 of them. Scroll on to find the best comfortable boots for walking that will change the game and give your sneakers a well-deserved break. This pair is tried and true. You’ll be able to walk more than a couple of blocks with these. Perfect low heel and ankle cut. Chelsea boots are always top on our list. Nobody will know these boots aren’t real leather. Patent boots with chunky heels will always elevate your rainy-day outfits. Not only this heel is very cool, but it also provides enough support. With its sleek design, these booties will elevate all your power-walking outfits. This pick is great for those who aren’t looking for your typical black boots. 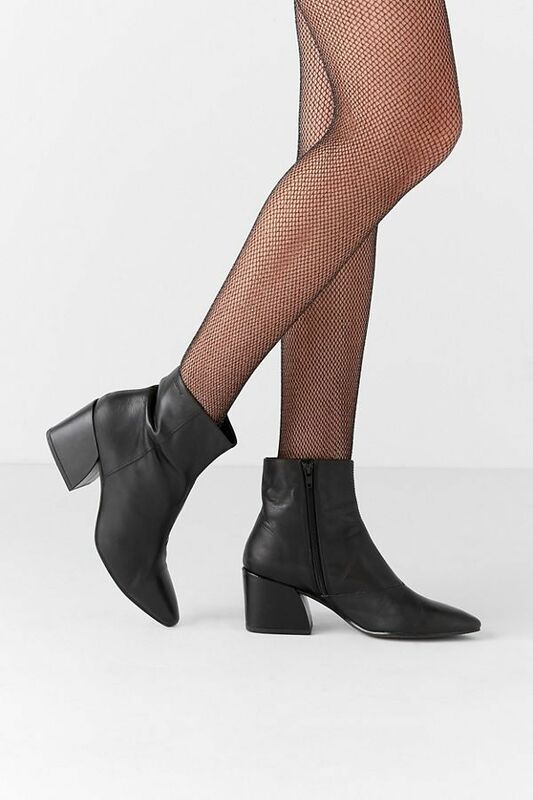 The chunky heel on these boots balances out the slightly longer length ankle cut of the boot. These bold red boots will surely grab all the attention. We’re here for these next-level cowboy boots. One color isn’t enough when it comes to comfortable and stylish boots. Cowboy boots go well with everything from jeans to a cool printed midi dress. Switch your black knee-high boots with these yellow leather ones. We’re wearing this boot trend all through winter.